Dr. Kenneth J. Doka is a Professor of Gerontology at the Graduate School of The College of New Rochelle and Senior Consultant to the Hospice Foundation of America. A prolific author, Dr. Doka’s books include Improving Care for Veterans Facing Illness and Death, Ethics and End-of-Life Care, Beyond Kübler-Ross: New Perspectives on Death, Dying, and Grief, Spirituality and End-of-Life Care, Grieving beyond Gender: Understanding the Ways Men and Woman Mourn;Counseling Individuals with Life-Threatening Illness; Cancer and End-of-Life Care; Diversity and End-of-Life Care; Living with Grief: Children and Adolescents, Living with Grief: Before and After Death, Death, Dying and Bereavement: Major Themes in Health and Social Welfare (a 4 Volume edited work), Pain Management at the End-of-Life: Bridging the Gap between Knowledge and Practice, Living with Grief: Ethical Dilemmas at the End of Life, Living with Grief: Alzheimer’s Disease, Living with Grief: Coping with Public Tragedy; Men Don’t Cry, Women Do: Transcending Gender Stereotypes of Grief; Living with Grief: Loss in Later Life, Disenfranchised Grief: Recognizing Hidden Sorrow: Living with Life Threatening Illness; Children Mourning, Mourning Children; Death and Spirituality; Living with Grief: After Sudden Loss; Living with Grief: When Illness is Prolonged; Living with Grief: Who We Are, How We Grieve; Living with Grief: At Work, School and Worship; Living with Grief: Children, Adolescents and Loss; Caregiving and Loss: Family Needs, Professional Responses; AIDS, Fear and Society; Aging and Developmental Disabilities; and Disenfranchised Grief: New Directions, Challenges, and Strategies for Practice. In addition to these books, he has published over 100 articles and book chapters. Dr. Doka is editor of both Omega: The Journal of Death and Dying and Journeys: A Newsletter to Help in Bereavement. 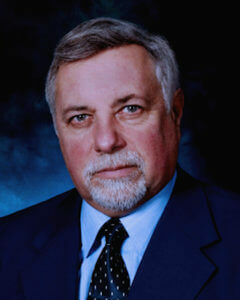 Dr. Doka was elected President of the Association for Death Education and Counseling in 1993. In 1995, he was elected to the Board of Directors of the International Work Group on Dying, Death and Bereavement and served as chair from 1997-1999. The Association for Death Education and Counseling presented him with an Award for Outstanding Contributions in the Field of Death Education in 1998. In 2000 Scott and White presented him an award for Outstanding Contributions to Thanatology and Hospice. His Alma Mater Concordia College presented him with their first Distinguished Alumnus Award. He is a recipient of the Caring Hands Award as well as the Dr. Robert Fulton CDEB Founder’s Award. In 2006, Dr. Doka was grandfathered in as a Mental Health Counselor under NY State’s first licensure of counselors. Dr. Doka has keynoted conferences throughout North America as well as Europe, Asia, Australia and New Zealand. He participates in the annual Hospice Foundation of America Teleconference and has appeared on CNN and Nightline. In addition he has served as a consultant to medical, nursing, funeral service and hospice organizations as well as businesses and educational and social service agencies. Dr. Doka is an ordained Lutheran minister.